Mark Jackson is Senior Lecturer in Postcolonial Geographies at the University of Bristol, UK. 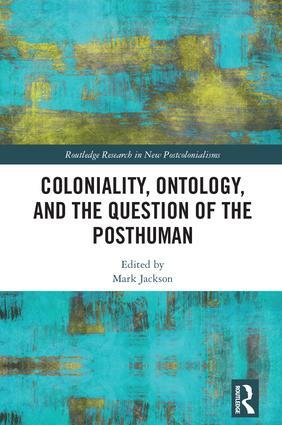 The Routledge Research in New Postcolonialisms Series offers a forum for original and innovative research that explores the changing contexts, emerging potentials, and challenges to postcolonial studies. Postcolonial studies across the social sciences and humanities are in a period of transition and innovation. From the question of the environment and ecological politics, to the development of new theoretical frameworks, to attempts to innovate around the importance of political critique during expanding imperialisms, enclosures, and global violences against people and place, postcolonial studies are never more relevant and, at the same time, challenged. This series seeks to host and so draw into focus emerging inter- and transdisciplinary conversations about the changing contexts and demands of new postcolonial research. Titles within the series range from empirical investigations to theoretical engagements. Authors are scholars working in overlapping fields including human geography, politics, anthropology, literary studies, indigenous studies, development studies, sociology, political ecology, international relations, art and aesthetics, science, technology and media studies, and urban studies. The series seeks to engage with a series of key debates about how new postcolonial landscapes, and new empirical and conceptual terrains are changing the scope, remit, and responsibilities of postcolonial critique. Topics include: the Anthropocene; food studies; comparative urbanisms; mobilities; identity and new political processes; global justice and protest movements; experimental methodology; neo-liberalising governance and governmentality; the commons and new public spaces; violence and new sites of enclosure; the aesthetics, writing, and translation of alterity; territoriality, cosmopolitanism and comparative ontology; digital technologies and mediatised cultures of translation; material and scientific politics; and policy formations. This series provides, then, a forum for cutting edge research and new theoretical perspectives that reflect emerging currents being undertaken around new forms of postcolonial analysis. This series is aimed at upper-level undergraduates, research students and academics, appealing to scholars from a range of academic fields including human geography, sociology, politics and broader interdisciplinary fields of social sciences, arts and humanities.